Quality Vinyl Sheet and Plank Flooring warehouse featuring overstock items, special runs & discontinued products in stock at 30-70% Off. Visit our 13,000 square foot warehouse with over 1,000,000 sq. ft. of flooring in stock. 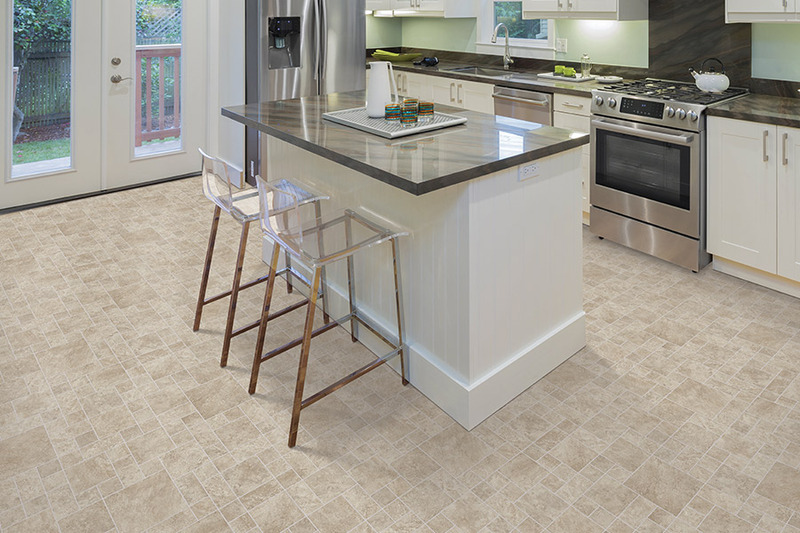 High quality Vinyl flooring manufacturers: Armstrong, Mannington, Congoleum, Flexitech, Lonseal, and more. 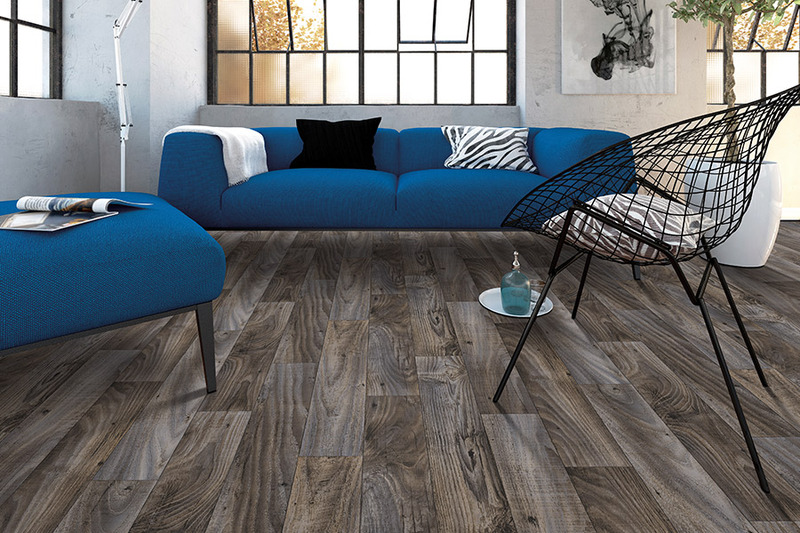 Hundreds of patterns of vinyl flooring in sheet or plank options. Over 1,000,000 square feet of quality flooring in stock daily: carpet, hardwood, laminate, sheet vinyl, luxury vinyl plank and transition moldings. New flooring shipments arrive with the latest flooring selection - get notified. Sign Up For Our Newsletter To Get Special Deals. Today's vinyl flooring is not what it used to be. At The Mill Carpet & Flooring Outlet we carry an amazing selection of vinyl sheet flooring, also known as resilient flooring. 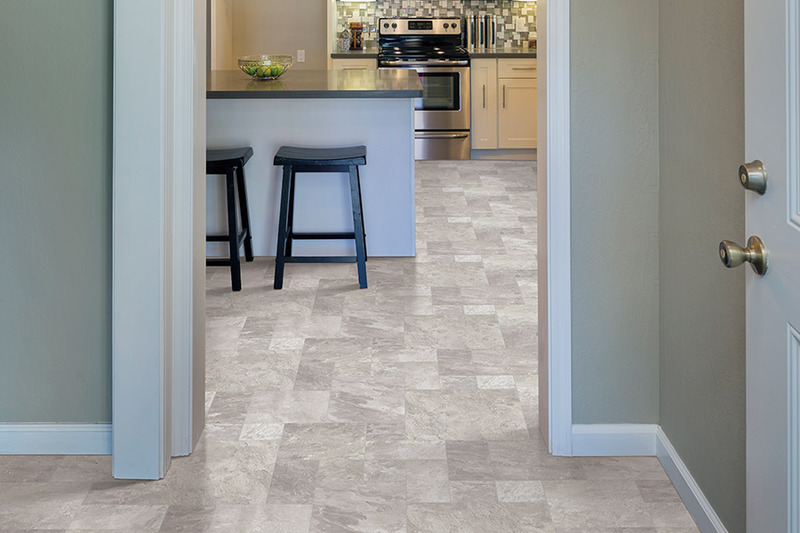 Because we carry the brands and patterns of vinyl flooring that our customers want, in stock and ready to be installed, shopping with us is fast and easy. cylinder that spins around while the vinyl’s core layer passes underneath systematically printing the various colored ink dyes to create the pattern or design. Once the print dyes are dry a clear wear layer is applied to the vinyl surface. The vinyl backing can be made of felt or fiberglass. Felt backing is less expensive than the newer fiberglass backing which offers more cushion, resilience (bounce-back) and tear-resistance. Depending on the manufacturer, vinyl rolls are available in a variety of widths from 6 feet wide up to 13 feet 2 inches. The material is custom fitted by the installer at the jobsite. Traditional sheet vinyl is less expensive than many other hard surface options. 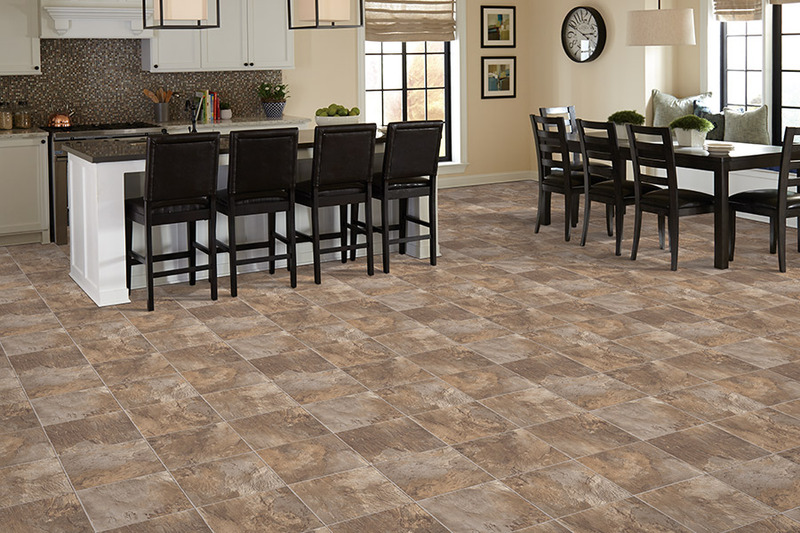 Some consumers may be concerned that vinyl flooring products are not durable and will not stand up. This is not the case when consumers buy quality vinyl flooring that is produced today by major manufacturers. In fact, high quality vinyl resists dents and marring, is very durable, strong and super-easy to clean and maintain. 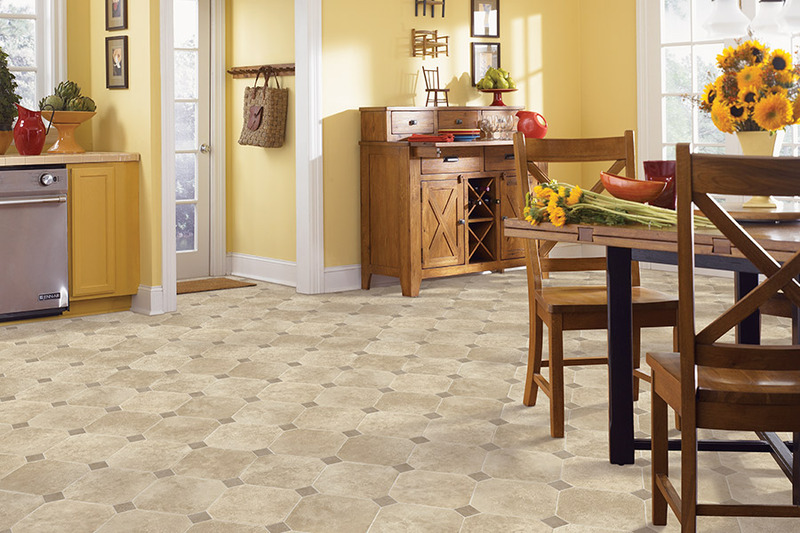 Vinyl flooring is warm underfoot and lasts for years when properly cared for. 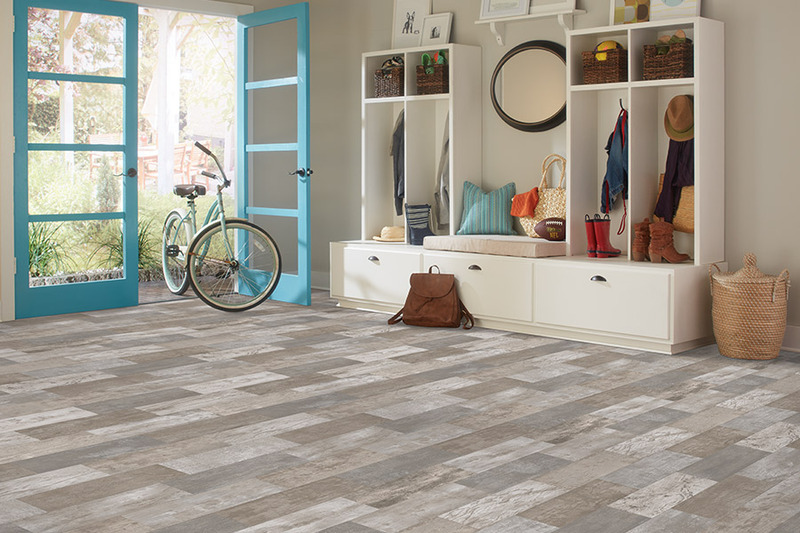 At The Mill Carpet & Flooring Outlet, we carry a large selection of vinyl products in an array of colors, patterns, designs, and widths. Many products have been manufactured to create an authentic appearance replicating the unique visual features of more expensive materials such as hardwood, concrete, natural stone, slate, marble, or travertine creating affordable alternatives to more expensive flooring materials. Our vinyl remnants are discounted up to 80% off and work well in entryways, bathrooms, laundry rooms, kitchens and much more. We know that quality matters. 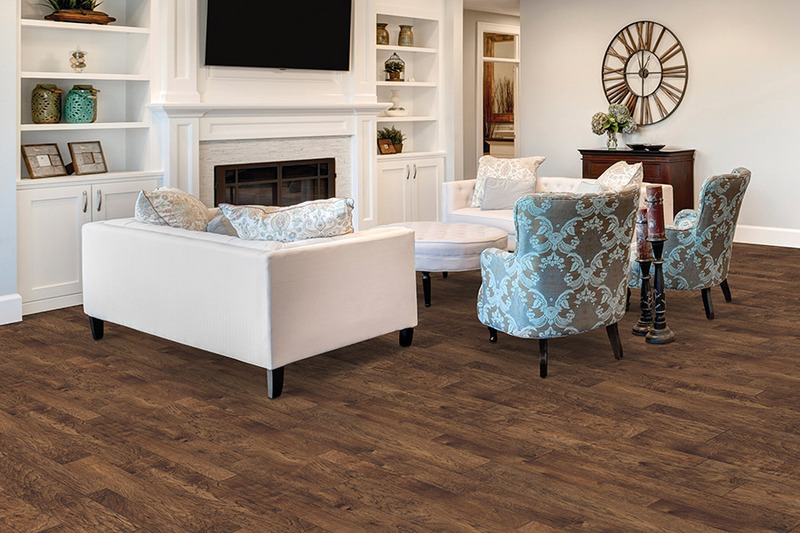 If you have been shopping for new flooring products and are value conscious you have probably seen that most flooring companies promote imported flooring products. Although some imports are well made, many are inferior in both durability and quality to products made in the United States. At THE MILL Carpet & Flooring Outlet we focus on flooring made in the USA. More than 85% of our in stock products are manufactured domestically. We can provide the manufacturer's installation instructions that make it easy for the skilled do it yourself. We can provide referrals that you can contact and deal with directly. We have partnered with a local full service retailer that can provide estimation services*, walk thru the jobsite with you and send an experienced installation crew to your jobsite to handle everything from start to finish.